I only have a handful of sub-par photos from the night posted. I’m tired, it’s 4AM. I’ll have to sift through the other 2000 images tomorrow. I’m too tired to even find the good ones. The race of the night was the last chance qualifier. Christopher Winters and Jeff Yates tangles at the Gateway Dirt Nationals as they came to the white flag. As you can see Jeff Yates is ‘all but’ upside-down. However, the yellow never came out. The cars landed and resumed racing for the win. The two ended up finishing first and 2nd. Both winners of the last chance qualifier race were given an option of taking home $750 or starting in the back of one of the mains. Both winners elected to the take the money and watch the race from the stands, beer in hand. The track was a bottom feeder race-track. Though, the staff are putting in a plan to edit the racetrack design. The plan is to promote side-by-side racing. They watered the track in the middle of several heat races, only the top. They were trying to get things going on the top. Not a single drop of water went to the bottom. Kenny Wallace was one of the very few cars I saw make a pass on the high side. While everyone else was glued to the bottom, Kenny avoided the traffic jams on entry and went to the high side. Scott Bloomquist made a somewhat surprise appearance in the dirt modified division. 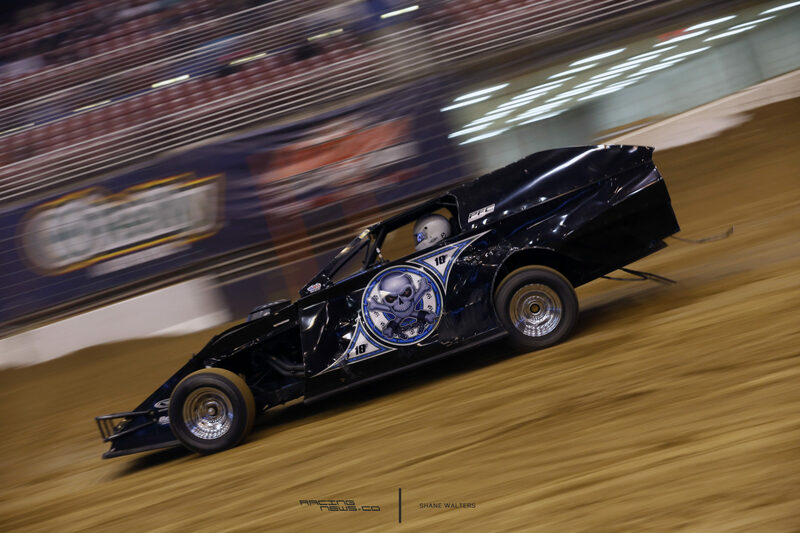 However, we was involved in a crash early on in his heat race. He will be buried in the mains. When the mods lined up for thir heat races so did the yellows. Most of the heat races were caution filled. People fighting for the bottom, put their car in a whole that didn’t exist. I think a big part of this has to do with the modified drivers themselvesand an over-excetited right foot. Which I understand, given this is a history making event. 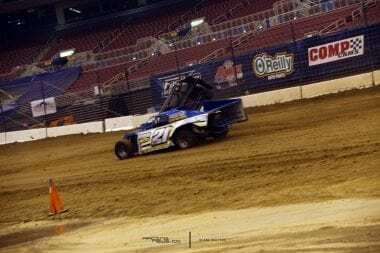 The last modified heat race race of the night at The Dome was actually very exciting. It was like a completely different night of racing. This was after multiple visits from the water track. The top had just come in, few were running it. But that race had a long green flag run of side-by-side racing. I see that at wonderful signs to come once they work on the track a bit more. 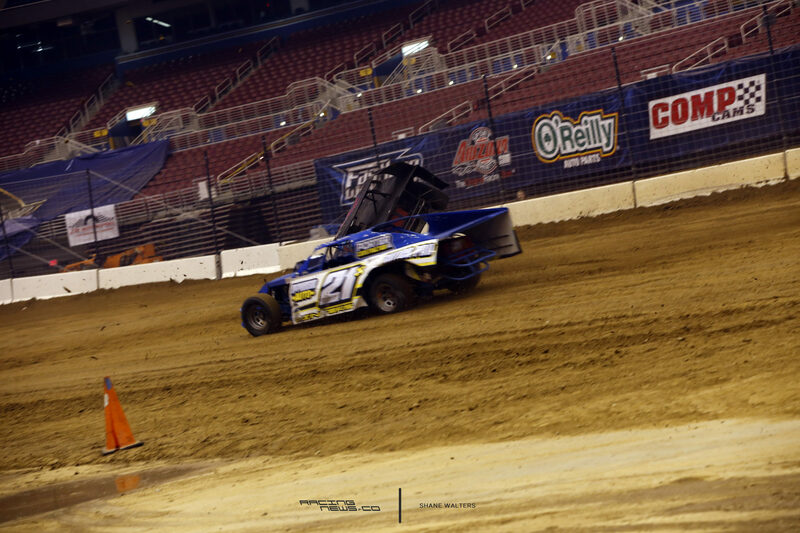 The Gateway Dirt modifieds were the only ones to run races at The Dome on Thursday. Late Models only ran two qualifying runs, per car. In fact, that’s a big part of why the show ended so late. I left The Dome at 2:30. The initial plan was to run one qualifying session for each car. one turned into two. 3 cars on track per run, across both classes. So, qualifying wasn’t over until somewhere near midnight. That added session of qualifying put them way behind schedule. But with so many cars it was probably very fair to the drivers to do that, not sure much fair to the fans. But I do understand, the entire weekend is based on your qualifying runs. It will make or break your weekend. Again… I’m tried. I’m positive I have many grammatical errors in this, all over this. I honestly I don’t care to even check for them, or fix them right now. I’m sorry for that though, just wanted to get the results out with some info. View the Gateway Dirt Nationals modified race results posted below.